The Los Angeles Times is running a front-page article on Saturday and Sunday with the headline “GOP Faction Wants to Change ‘Birthright Citizenship’ Policy“. In a nut shell, some GOP politicians and anti-immigrant activists want be able to deny US citizenship to people born in the United States. Their argument is that illegal immigrants are encouraged by the promise of giving their children US citizenship, who might “anchor” them in the United States. Because they know that a constitutional amendment to remove the first line from the 14th Amendment isn’t going to happen, the Republicans in question intend to change the definition of “jurisdiction” to exclude anyone not born to a US Citizen or Legal Permanent Resident. Here’s an example: H.R.698: Citizenship Reform Act of 2005. Interestingly, the act would actually roll back the right of US citizens to pass on nationality to their children. Presently, a child born out of wedlock, outside the US can derive citizenship from a US citizen father who takes responsibility for his child (e.g. a child of a common law marriage). Citizenship Reform Act of 2005 would have denied citizenship to the same child if born inside the United States (while still granting it to the foreign-born child). As a former INS officer, I can only imagine the policy chaos that the CRA would cause. What would congress expect border officers to do with people presenting birth certificates and proof of ID? Detain them? Deport them? In my experience 90% of the Americans returning from vacation in Mexico would have to be detained to determine their parent’s citizenship at the time they were born. Ask yourself what documents you would present to prove that question. That is, of course, a technicality compared to the full-frontal assault on the the founding principles of our Nation. Germany and France and Switzerland may deny citizenship to children born in their territory to non-citizens. But let’s also remember that these are countries which virtually define themselves in racial terms. Gently they tip-toe around Hitler’s assertion that the Nation transcends the form of the State: French were French when their government was a monarchy. What are Americans without the Constitution? In my opinion, they aren’t Americans. 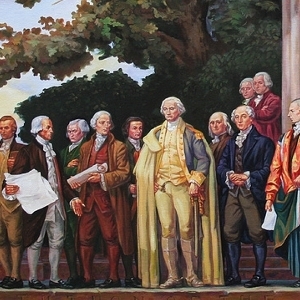 The United States was unique by defining a Nation in its allegiance to a central document. There is no common religion, language, point of origin, ethnicity, etc. There is only a common allegiance to the Constitution and the territory over which it has jurisdiction. What these Congressmen seek to do is tie American nationality to bloodlines and thus create an “American Race”. Why am I thinking of “American History X”?